Should everyone eat breakfast? It’s complicated. The humble rutabaga is worth a second look (or, if we’re honest, a first look). How Does Fat-Shaming Cause Cancer? Doctors take an oath to “do no harm.” That includes fat-shaming. How about making a New Year’s resolution you’ll actually want to keep? Protein: Are You Eating Too Much or Too Little? There’s so much confusion about how much protein you should eat. We can help. (the bird, that is. The country is another matter). Don’t be bullied by a turkey! Try these easy, time-saving, disaster-averting options. Imagine a delicious winter squash that can be cut in half without using a tree-chopping tool! 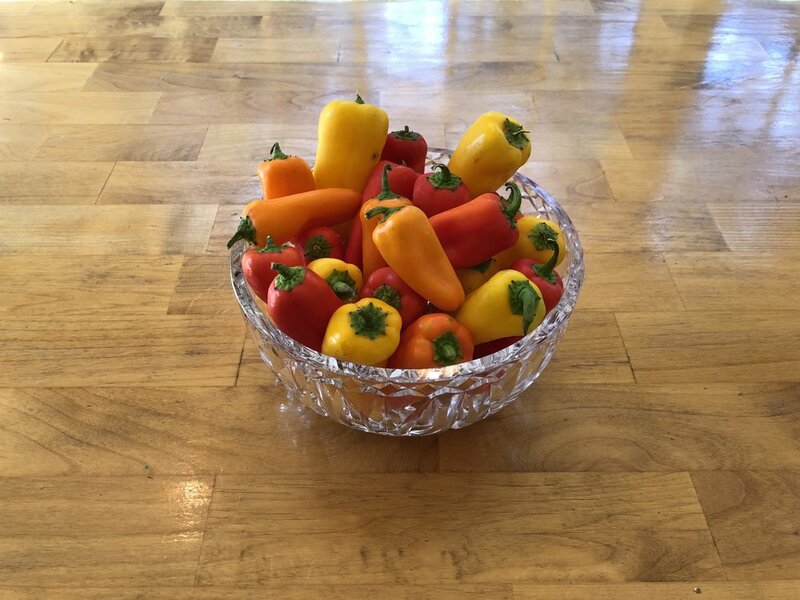 No, these do not make up for the complete collapse of the Phillies, but these mini sweet peppers are my favorite new vegetable in the world. It all comes down to food, love, and repairing the world, no? Presentation is everything! Check out this great way to serve crudités and fruit. Here’s a recipe for a delicious muffin that’s actually a gift to your body. One does have to honor one's mother, doesn't one?